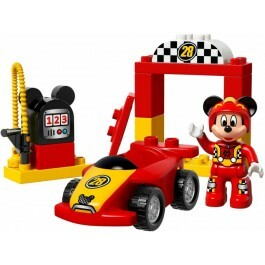 Little Mickey Mouse fans will love to build and rebuild the race car, starting gate and Mickey-shaped gas pump. 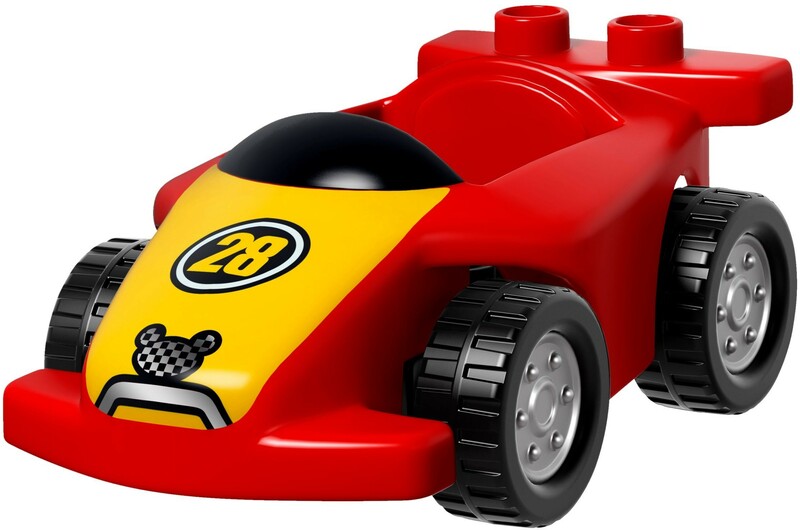 Help them develop fine motor skills as they play at filling up the car and tuning it up for the race. 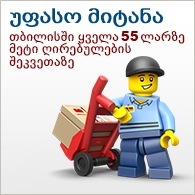 Then line up at the starting gate—and he’s off! 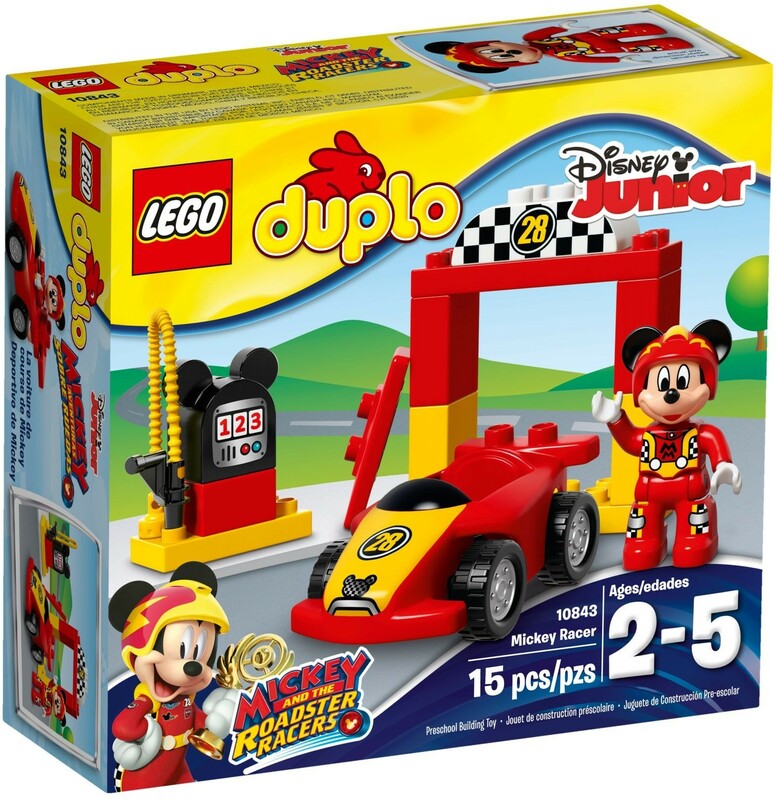 Includes a LEGO® DUPLO® figure: Disney’s Mickey Mouse. 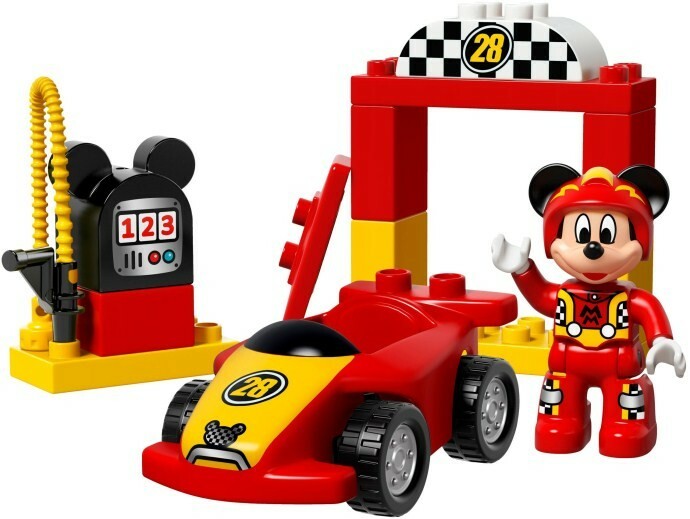 Help your little Mickey and the Roadster Racers fan build and refuel the car ready for Mickey Mouse’s next big race.